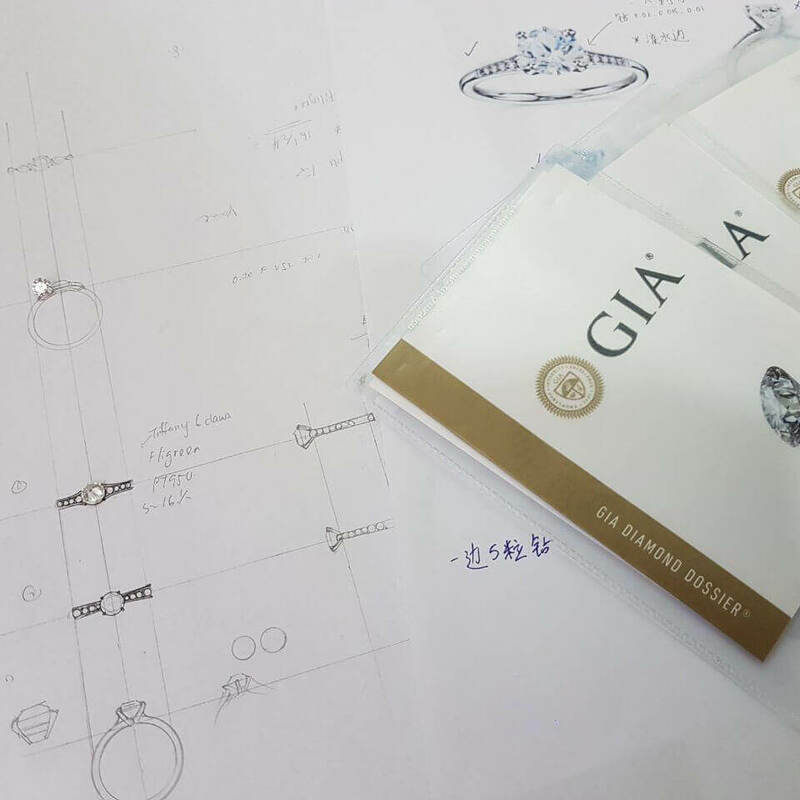 Selection of thousands of certified diamonds to the exquisite ring design. Hearts and arrow diamond cut for the most brilliance and most light reflection. Every details on the ring is customised, creating a unique and irreplaceable mementos of love. A customised engagement ring which is one-of-a-kind, and inspired by both your love story. Bespoke diamond ring, on the number of crawls setting to the diamond, tapered design on the ring bend and diamond setting size. All the fine details into discussion and deep consideration, because you care for her. Creating a perfect proposal wedding ring, for a perfect marriage.